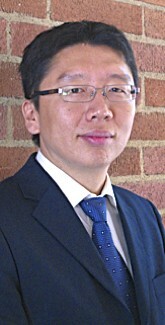 Han joined VantagePoint in 2010 after he co-founded AISpace where he worked on domestic and overseas business development. Under his guidance, AISpace won partnership with the $150 million Japanese government project Information Grand Voyage and developed a key relationship with the largest Chinese water industry portal, China-H2O. Han also has work experience at Nikken as a Software Engineer. He has an MBA from the UCLA Anderson School of Management, a Masters in Civil Engineering from the University of Tokyo Graduate School of Engineering and a Bachelors in Hydraulic Engineering from Tsinghua University.